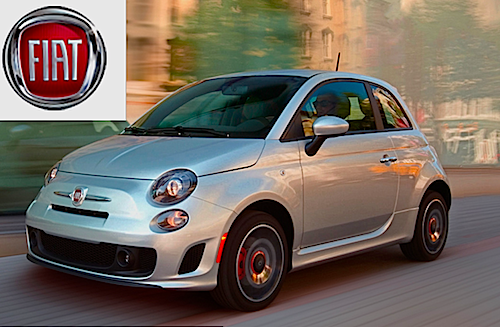 Fiat is moving to bigger cars for the US. After the Fiat 500 success, the company wants bigger. No matter where you’ve been living, chances are there is a Fiat 500 zooming around your neck of the woods. The comeback kid has returned to the USA with an amazing little car, the Fiat 500 that took over the world by storm. The car is small, highly charismatic and fuel efficient, something the once beleaguered European Fiat automaker was able to offer us. What no one thought was that it would be such a success. Sure, BMW was here before with its Mini but the Fiat 500’s styling hinted at the right part of its prestigious past, the original Fiat 500. From Old To New. Few cars have retained their charisma as the Fiat 500 did. Yes, the Mini is an extrapolation of the original Morris Mini and the Beetle has more of a past distance look to its glorious original Beetle but the Fiat 500 managed to keep what made it so famous then and embodied it into a very livable little car today. Small on the outside, you sit up high in the 500 all the way up to the 500 Abarth Convertible. Then The L Came. When a carmaker offers the “L” version to anything, it usually means losing it’s original appeal and putting on much weight via added space and cargo. So the Mini 4 Wheel Drive Station wagon became a “Maxi” and the 500 L has a vague resemblance to the new Fiat 500. But who cares when people love these little cars on the outside, big enough to seat 4 or five. This is what sells after all. And with this said, is it any wonder Fiat wants bigger cars here? According to Ward’s Auto, Fiat North American brand chief Tim Kuniskis says Fiat wants to add at least six more bigger models by 2015: “Got to have something for everybody,” he said at the show, "We have three cars now, and more vehicles are coming." Why not, with the Alfa Romeo 4C making another more official appearance at the Geneva Auto Show, Fiat might be building its line up to please the US market.